The comfort and the charm of our Majesty model will delight you. 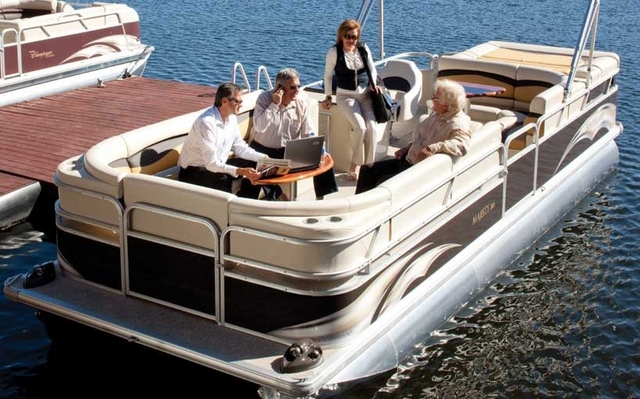 This pontoon boat has been designed with very high standards featuring meticulously chosen furniture. We are happy to announce this very first in the pontoon boat industry. We have introduced a transparent band of polycarbonate in the middle of the front railing, which adds visibility. Furthermore, the addition of a blue lighted line gives the pontoon an astonishing look.